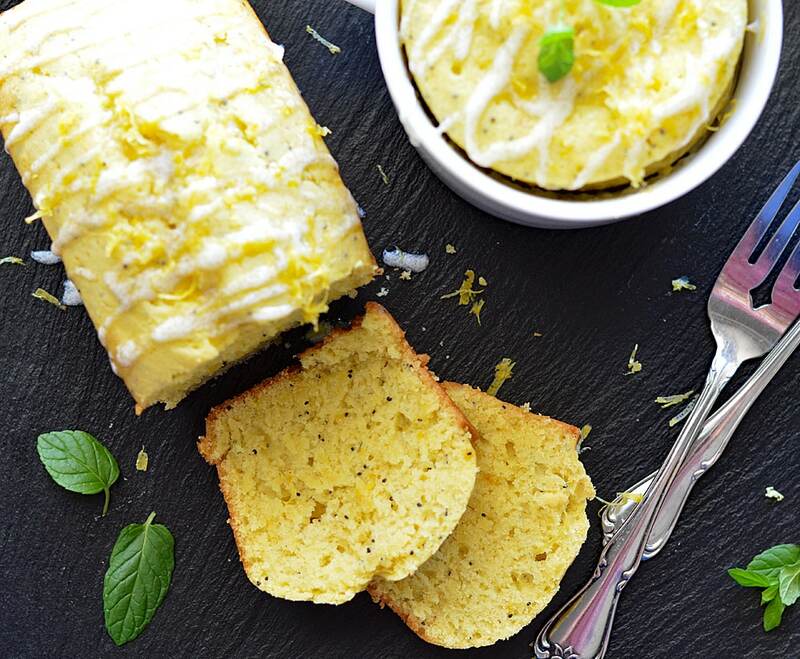 I had so much fun creating this Vegan Lemon Poppyseed Yogurt Cake. It has been a reader-request for quite some time and was so easy to “veganize” with Silk Dairy-Free Yogurt Alternative! Not only does the yogurt taste great on its own, it has a perfect smooth & creamy texture which lends itself well for use as a recipe ingredient. Because most cakes contain eggs and dairy, I wasn’t sure I could quite capture the real deal, you know? I played around with this recipe until I felt I had it. To make the impossible, possible…there were of course, a few substitutions. Instead of eggs, flax “eggs”. If you are unfamiliar, don’t worry. I explain everything in the printable recipe below. Vegan margarine and last, but certainly not least, the Silk Dairy-Free Yogurt Alternative. I was thrilled with how it performed in both the cake AND the glaze. 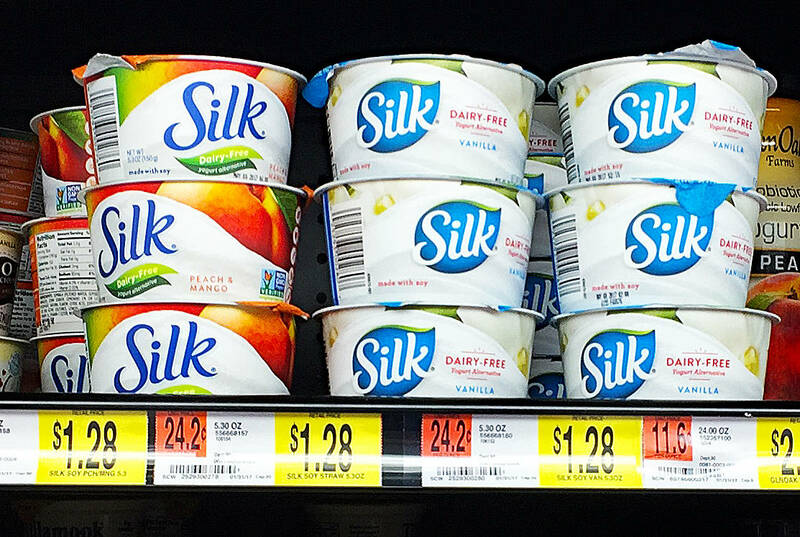 I found the Silk Dairy-Free Yogurt Alternative in a variety of flavors at my local Scottsdale, AZ Walmart in the dairy aisle. Vanilla is my personal favorite, so I purchased about four of those and also picked up the Peach Mango which sounded interesting. You’ll need about 2 1/2 containers to complete this recipe as written. 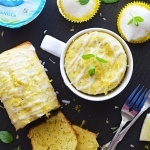 Initially I had only planned on trying out my newly created Vegan Lemon Yogurt Poppyseed Cake recipe in cupcake form but then I started thinking about how versatile the batter was. So I continued experimenting (as I like to do). It worked great as a standard cake and also a loaf. Light and airy. 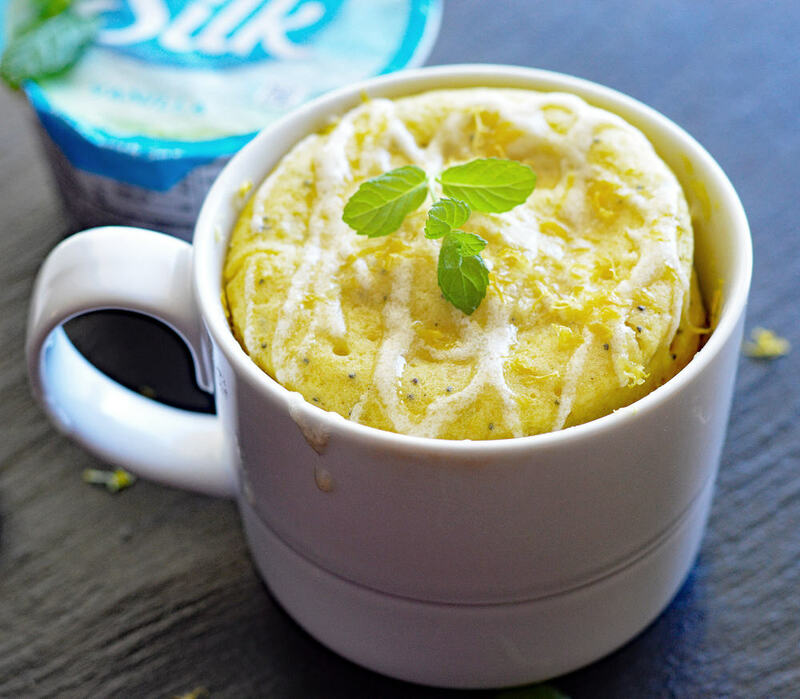 Pushing the envelope a bit, I even decided to try this recipe out as a microwavable mug cake…a first for me. I was so excited when it puffed up and fully cooked in about 3 minutes. It was perfect! I can see what all of the hype is about. I will definitely be trying this again. How fun!!! 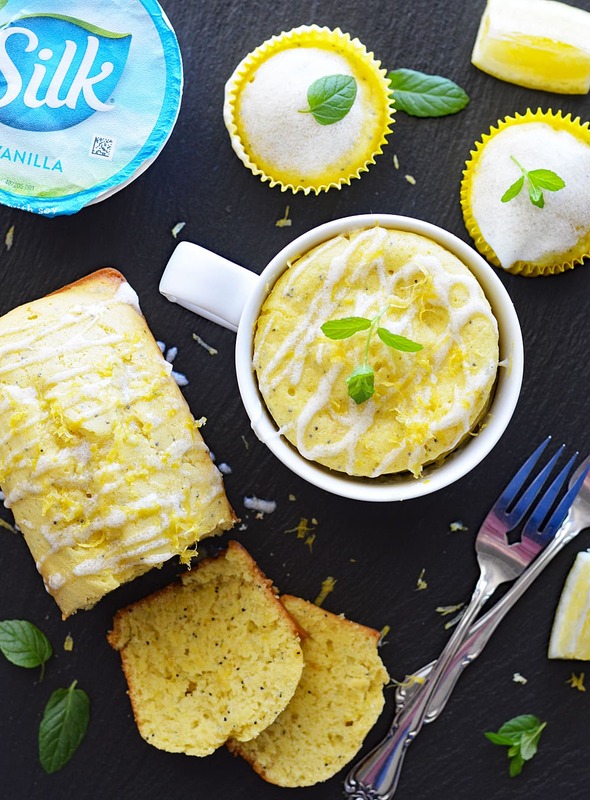 Find more #DairyFreeGoodness inspiration here! 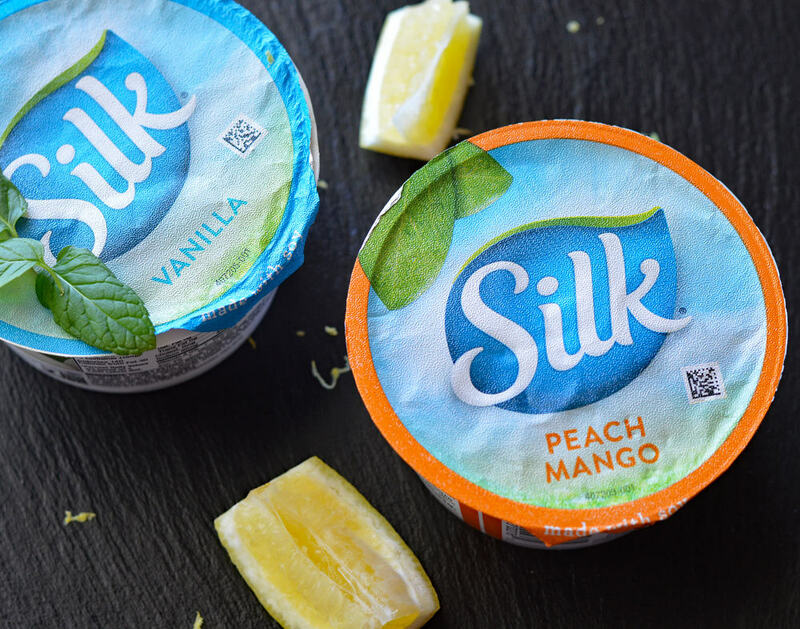 So what do you make with Silk Dairy-Free Yogurt Alternative? What’s your favorite flavor? Let me know in the comments section below. Prepare flax "eggs" by combining 2 tbsp of ground flax with 6 tbsp of water. Allow to sit for at LEAST 5 minutes. The mixture should become thick and gelatinous as the flax absorbs the water. In the bowl of an electric mixer, cream together the softened vegan margarine and sugar. Add the flax "eggs", Silk Dairy-Free Yogurt Alternative, vanilla, lemon juice and zest. Mix until well incorporated. In a separate bowl, whisk together the flour, baking soda, baking powder and salt. Add to the mixer, beating until just combined. The batter makes enough for 1 standard loaf pan, but I chose a variety of vessels such as cupcakes, mini loaf and even a mug. OPTIONAL: To make this cake a bit more lemon yellow, I always like to add two drops of food coloring. This is completely up to you. Using an electric mixer, combine the vegan margarine and yogurt until completely smooth. There should be no bits of margarine showing. Add in your powdered sugar 1/2 c at a time, beating between additions. Add the lemon juice (which may cause some separation. That's ok, keep beating). If the glaze is too thick, add more lemon juice. Too thin? Add more powdered sugar. The amount can and will vary greatly depending on factors such as humidity, moisture content of the vegan margarine, etc. It is a very forgiving glaze, so just play with it until it's just right. About how long do you bake it as a loaf? Hi Betty, I am assuming you are asking about a standard loaf pan and not the mini I used. I would say it’s going to probably take you the same as a banana bread…close to an hour. If it starts getting too golden on the top, just cover it with a bit of foil or parchment. It tests just like any other cake, when a toothpick inserted comes clean…you’re done! 🙂 If you make it, I would love it if you would stop back and let me know what you thought. Has anyone made this gluten free?? Excellent recipe. Not too sweet. Glaze makes tons.. Even half the recipe made too much in my opinion. Will definitely make this again! Baked around 45 minutes at 350 in a regular sized bread loaf pan.